Charming. Cozy. Inexplicably expensive. 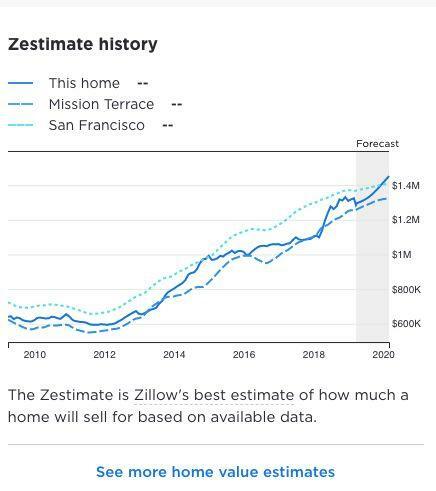 Some of the words that could describe the San Francisco housing market. And a million-dollar listing caught the internet’s attention for the wrong reasons. 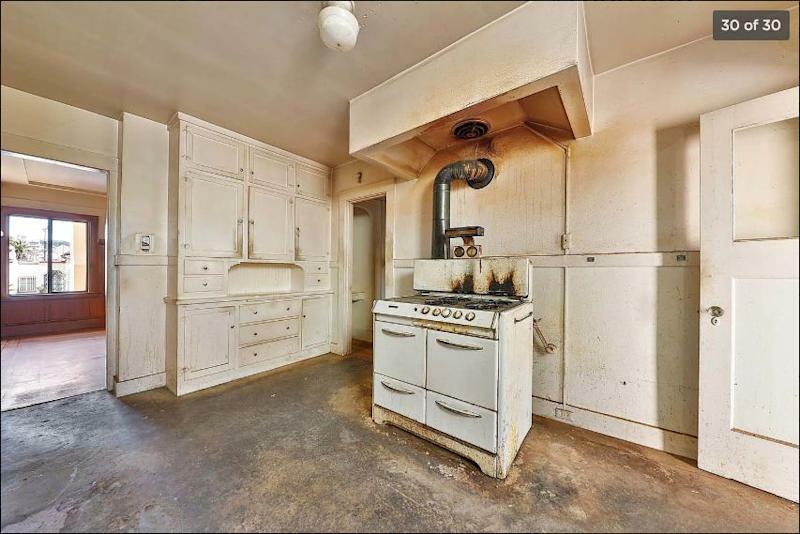 A fixer-upper listed on real estate platform Zillow for $1,000,000 in the geographical center of San Francisco looks decent from the outside — but parts of the home are remarkably dilapidated. The tenants had moved out a year ago and insisted on the million-dollar price tag. Stephens said she would’ve preferred a lower price — but added that “it’s definitely a desirable neighborhood.” She had not received any calls about the house as of Saturday afternoon. 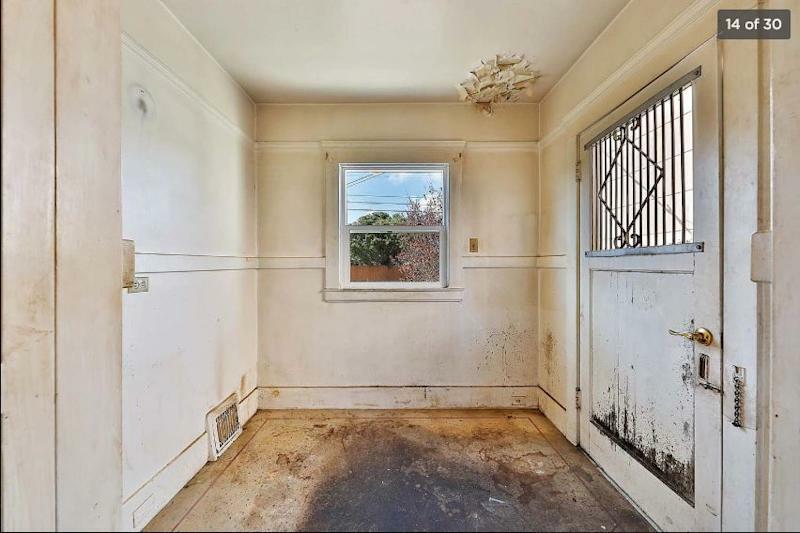 Real estate and rent prices in San Francisco have skyrocketed over the last 10 years, leaving million-dollar homes like these on the market. 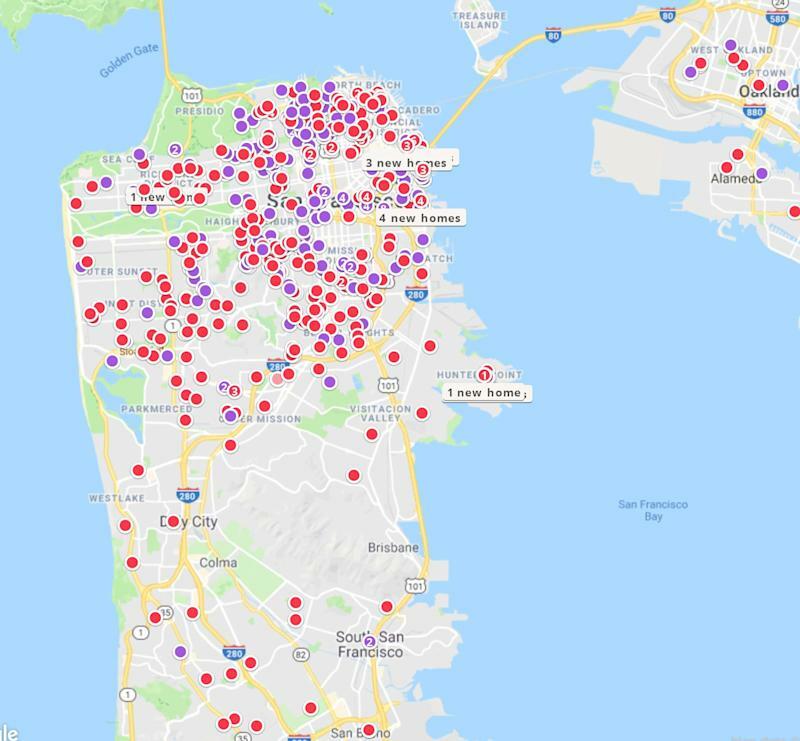 The median home sale price in San Francisco was $787,200 in March 2008, according to additional data from Zillow. In January this year, it was $1,304,200. Aspiring San Francisco residents are turning to offbeat locations for their homes — including a house beside a former nuclear-testing site which may or may not be radioactive. New Yorkers are another group of renters who often complain about high rent, so it may come as no surprise to them when they hear of landlords becoming increasingly creative with their apartment offerings. 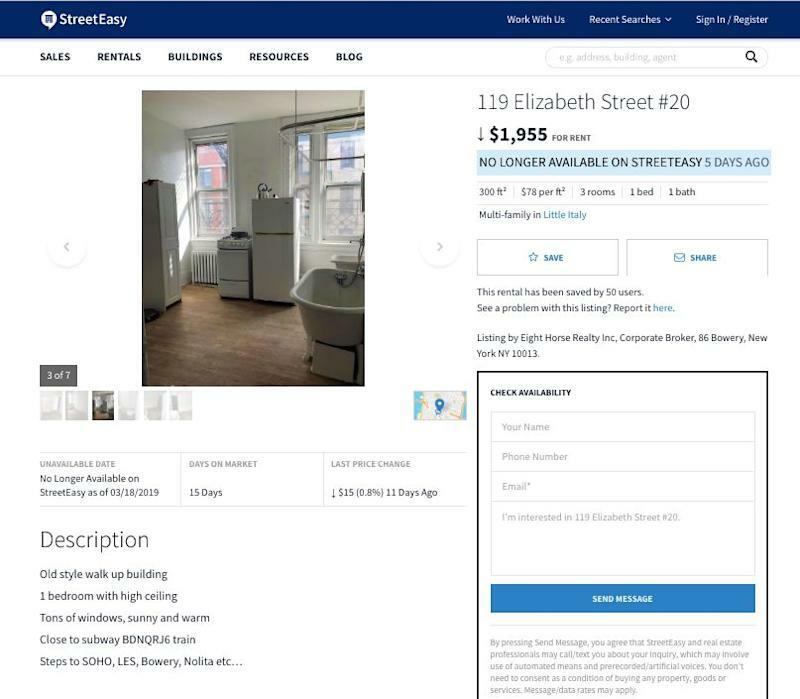 But a listing on StreetEasy shows how far the landlords take it — proving that there are people that would settle for just about anything to live in Manhattan. The Little Italy apartment — which is no longer available on the website — was available for a monthly rent of $1,950. The 300-square-foot apartment offered a bedroom, a toilet, and a living room that included a kitchen and a bathtub. Aarthi is a writer for Yahoo Finance. Follow her on Twitter @aarthiswami. Alexandria (ARE) to Post Q1 Earnings: Is a Beat in Store?